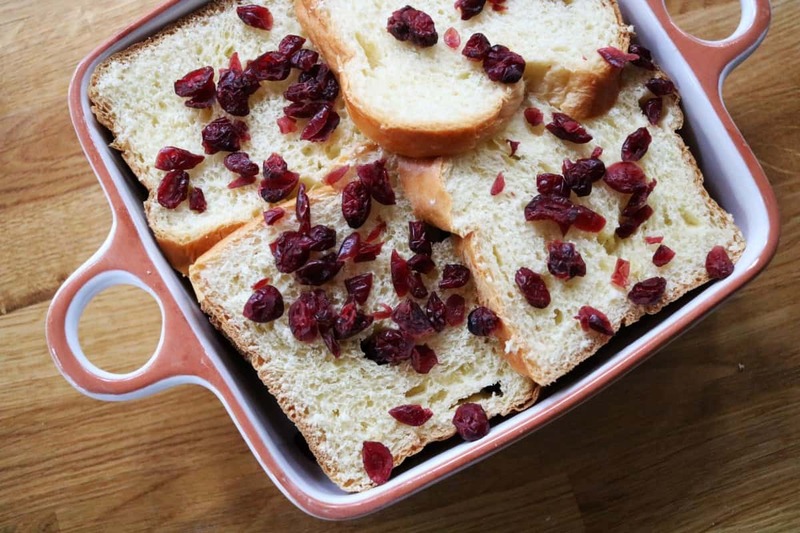 Put a layer of brioche in the bottom of an oven dish, sprinkle over a handful of dried cranberries and then add another layer of brioche and dried fruit, repeating until the dish is full. Pour the custard into a jug and add 100ml water and the orange zest. Mix and pour slowly over the brioche until it has all been soaked up. Bake in the oven for 30 minutes or until browned. You can add a dusting of chocolate powder, grated chocolate, cinnamon or brown sugar before serving. It’s so nice to have warm desserts over the autumn and winter and this one has been a real hit with the children. It’s great after a Sunday lunch or even as a quick and easy warming midweek treat. 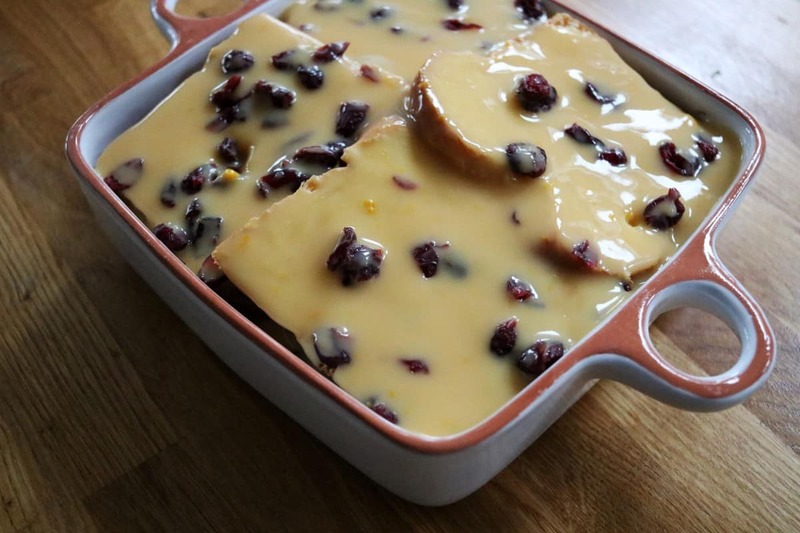 You can’t beat a dessert that comes with custard at this time of year. If you fancy mixing this up a little you could switch the dried cranberries for chocolate chips to make a lovely chocolate orange version. That’s next on my list to write about – and if you have any other flavour suggestions I would love to hear them. 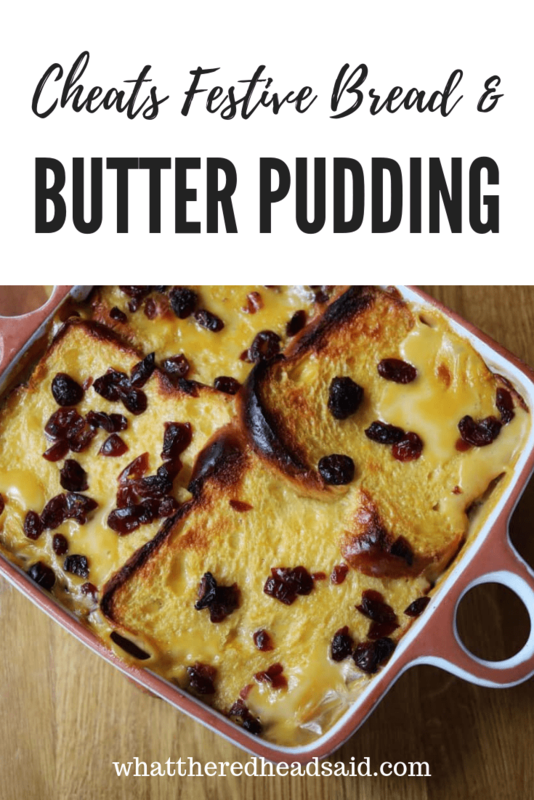 You can serve this with extra custard poured over the top too – you can never have too much custard. If you’re looking for more festive food inspiration check out our recipes for mincemeat swirls, mince pie tarts, yule log, Christmas cake, festive trifle, mince pie flapjacks and sponge topped mince pies. 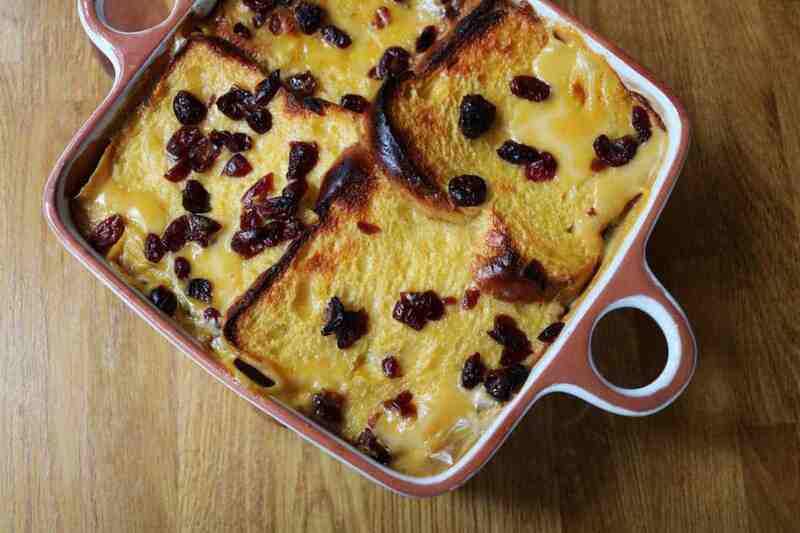 If you’d like to print or pin the Cheats Festive Brioche Bread and Butter Pudding recipe for later you can do so below. Enjoy! 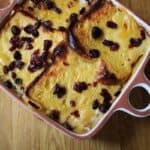 I’ve always made a quick and easy Cheats Brioche Bread and Butter Pudding but over recent years I’ve also made a festive version that I thought I’d share with you today – you can’t beat a festive dessert in the run up to Christmas. Full of cranberry and orange flavours it’s great for Christmas and has just a lovely festive kick to it that the whole family really enjoy. Looks delicious – and so simple to make. Will definitely be giving this a try in December. This looks so easy to do and so delicious! I must try it, thanks.